Discover the incredible healing powers of the ancient remedy of Olive Leaf Extract and other superior all natural health products, and learn how Ancient Knowledge meets the newest technology! 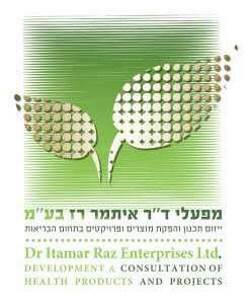 Made in Israel, these high quality products pioneered by Dr Raz Labs are brought to you after extensive research and development in the medical and bio-tech arena. Discover the Amazing world of Natural Medical Cosmetics, in this incredible range of creams, ointments, oils and gels. Pioneered by Dr Raz Labs.